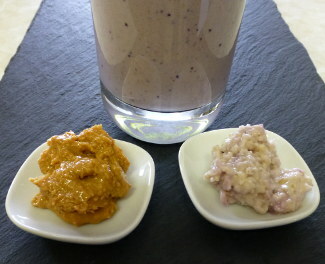 Looking for a smoothie jam-packed with protein perhaps to supply your body with fuel after a workout? 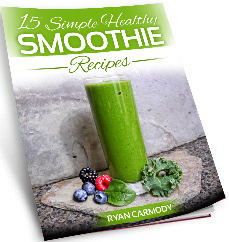 The protein smoothie recipes below will meet your protein needs with a number of different recipes and protein rich ingredients. Looking to increase your protein intake? 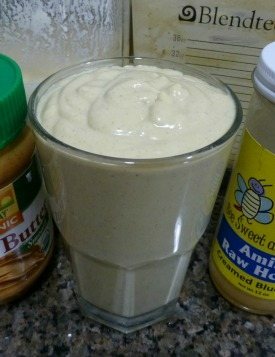 Try this healthy whey protein smoothie that’s both delicious and nutritious. My recent workouts have included heavier lifting and thus I feel the need to add more protein into my diet. One easy way to achieve that is by adding a few scoops of whey protein powder. 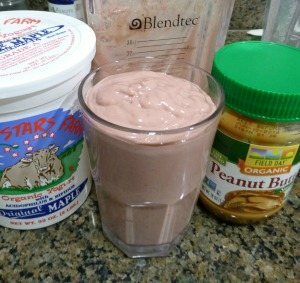 This smoothie features a new whey protein supplement that I’m really excited about because of how pure and clean it is. There’s an abundance of protein powders on the market and only a handful that are viable and not full of harmful fillers; so finding a good one is always a plus. Blast your taste buds into orbit with this delicious and nutritious energizing smoothie that will ensure you have the best day ever! Seriously though, this is one rich, creamy, lick your blender clean smoothie. Subscribers of my free newsletter receive some of my best content, not all of which is found on my site, and in return I get great questions and suggestions. This recipe was sent to me by one of my subscribers, Christine. She and her daughter find this smoothie divine, and I agree. Thanks for the recipe, Christine! 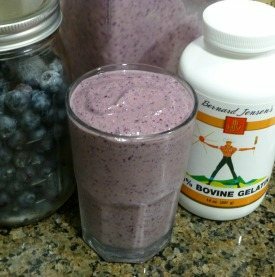 This smoothie features one of my new favorite ingredients, gelatin. Gelatin is basically pure protein, and thus a great source of this macronutrient. I’ve had success with a couple high quality protein powders over the years. Problem is, they’re a little pricey and not a whole food, and I strive to get the majority of my nutrients from whole foods. What is gelatin and what’s so special about it? Are you looking for a protein-packed smoothie that doesn’t call for a supplement or powder, just natural protein from the ingredients? If you search for protein smoothies around the web you’ll find most of them call for some sort of protein powder. Not that there’s anything inherently wrong with a good protein supplement (I recommend Sun Warrior and a few whey based ones), but some people would rather get their protein from whole foods and/or don’t want to shell out the cash for a high quality product. I’m starting to lean this way myself. 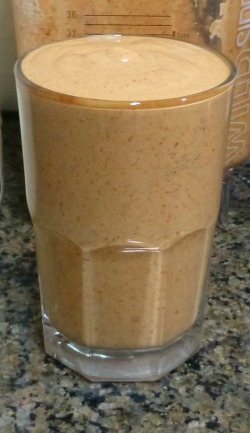 Part of the inspiration for this smoothie came from a brief conversation I had in the comments of a recent recipe, Greek Yogurt Smoothies. 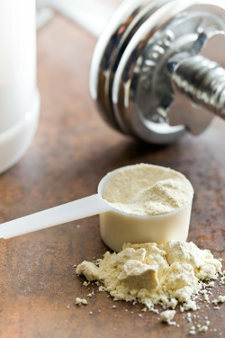 The commenter indicated not wanting to use protein powders and how he was able to craft protein rich smoothies without.